Planning a trip to Romania, but confused where to start putting together your itinerary? The country is bursting with haunted castles, charming towns, offbeat ski resorts, and bustling cities. Here are some of our favorite towns and cities in Romania that belong on any traveler’s itinerary! 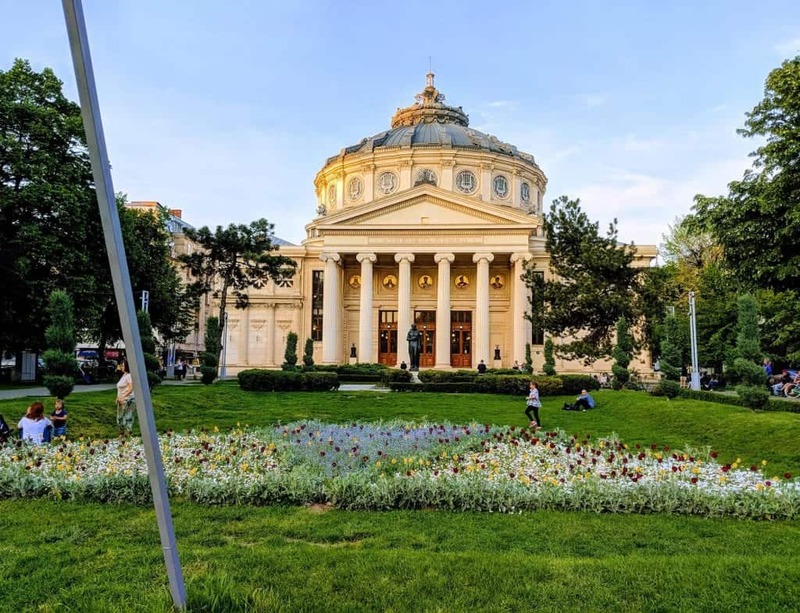 These cities have gorgeous architecture, stunning views, important national history, and some of the best spots for shopping for Romanian souvenirs. Planning a Trip to Romania? Don’t Forget Travel Insurance! Historic Brasov. Photo by Eric and Lisa from Penguin and Pia. Reused with Permission. If you’re in Romania, exploring Brasov should absolutely be on your “must-do” list. 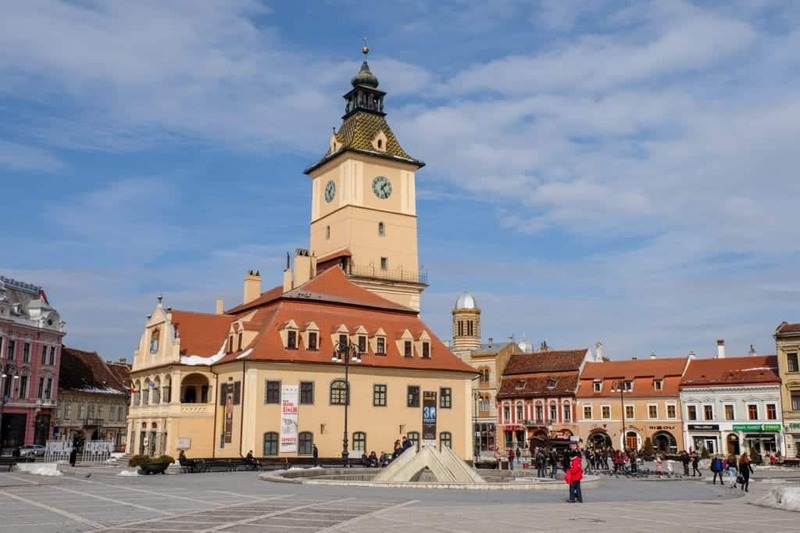 As one of the largest cities in the famed area known as Transylvania, Brasov is a hub for nature lovers, cultural enthusiasts, history buffs, and even passionate foodies! The Carpathian Mountains make hiking and skiing an easy activity to do in Brasov – or very close by. Tampa mountain overlooks the historical center and allows hikers to get their exercise. Alternatively, you can take the cable car to the top for amazing views of the Romanian countryside. They even have their own version of the “Hollywood” Sign in Brasov! 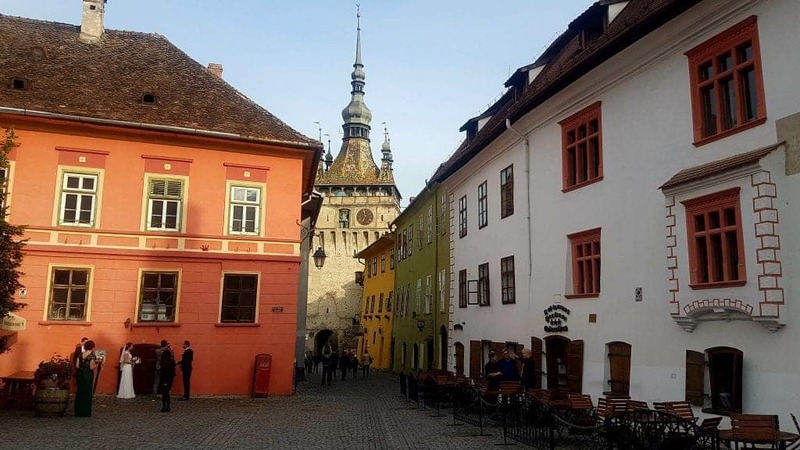 The Old Town in Brasov itself has many attractions, like the Black Church, the White Tower, and Rope Street – claimed to be the narrowest street in Europe! And don’t forget about the food in Brasov! Because of its location in Eastern Europe, traditional dishes like goulash and cabbage rolls can be found in many restaurants around the city! Overall, the city is a great place to visit since there are lots of things to see and do in Brasov for any budget. Romanian National Opera in Bucharest. Photo by James Cave. Reused with Permission. Romania’s capital city, Bucharest, is one of Europe’s most affordable European capitals and Bucharest’s cheap accommodation and low cost of living makes it an attractive destination for digital nomads, expats, and long-term travelers who want to settle for a bit. More importantly, Romania has a rich and colorful history and Bucharest is one of the best places to explore this. For example: did you know that up until 1989, Romania was a communist country (although interestingly not a part of the USSR)? That all changed when the people revolted and overthrew their leader, Nicolae Ceaușescu, executing him by firing squad on Christmas Day – an event that was televised on Romanian national television. The Walkabout Free Walking Tour of Bucharest is one of the best ways to learn some of these facts and to see the locations where all of these events took place. You’ll also learn about the most famous Romanian in history: Vlad the Impaler. Also high on the list of things to do is visiting The Palace of Parliament. Bucharest is also home to the world’s second-largest administrative building (the Pentagon is the first), and this building – a vanity project by the aforementioned Ceaușescu – contains more than 3,000 rooms. Entry is by guided tour only, and it’s recommended that you book in advance. A monastery in Câmpulung. Photo by Kaila Yu. Reused with permission. You must add Câmpulung to one of your must-see sites if you are traveling through Romania. It’s located in the hills of the Carpathian mountains and is located in the Argeș County Region of Muntenia, Romania. It’s a very popular summer getaway destination for Romanians, due to its beautiful scenery and fresh air. There is also much to see as there is not only a monastery and cathedral, but there are more than 20 churches. It’s also very popular for outdoor sports, lively fairs, and its logging industry. During the wintertime, the town features an 800m ski slope. Also in the vicinity are the Painted Monasteries, which are nominated as a UNESCO world heritage site. What’s unusual and striking is that these monasteries are not only painted on the inside but on the outside and date back to the 15th century. You can explore these monasteries on your own or sign on to one of the many tours showcasing these beauties! Ancient ruins in Constanta. Photo by Jeanne Harran. Reused with Permission. Romania is most famously known for the stunning mountain landscape of Transylvania, but did you know they also have a beautiful seashore to discover? Skip the Mediterranean and head over to the Black Sea. Constanta, Romania is a charming port just a short train ride away from the hustle and bustle of Bucharest. If sunbathing isn’t your cup of tea, there is a rich culture and history to discover. Constanta dates back over 2000 years with plenty of museums ranging from natural history, folk art, and the Romanian Navy. No trip to Constanta can be complete without taking a proper selfie from the famous Casino landmark! Known as Romania’s Monte Carlo, the casino is one of the most beautiful abandoned buildings in the world. Also be sure not to miss out on the tasty local shellfish and wine at Tomis Harbor while watching the sunset. Medias. Photo by Megan Starr. Reused with Permission. 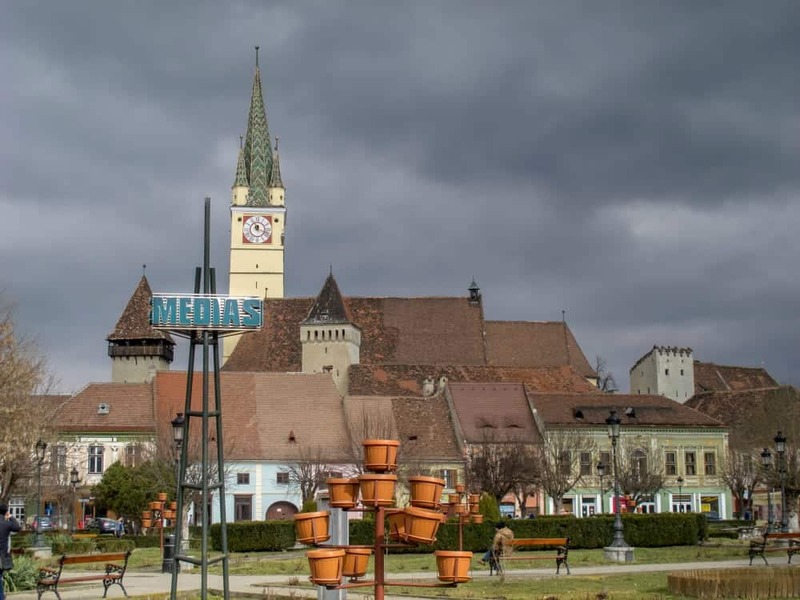 Medias is one of the oldest cities in Transylvania and one of the oldest cities in the region. Founded in 1146, Medias has a lot to offer tourists for a day or two but is plagued by the fact that so many other cities around it are far better-known and have historical significance that has given them recognition by UNESCO. The city has some really well-preserved fortifications surrounding it and is home to St. Margaret’s Church, a church that is so prominent and beautiful that you can see it from several angles around the city. 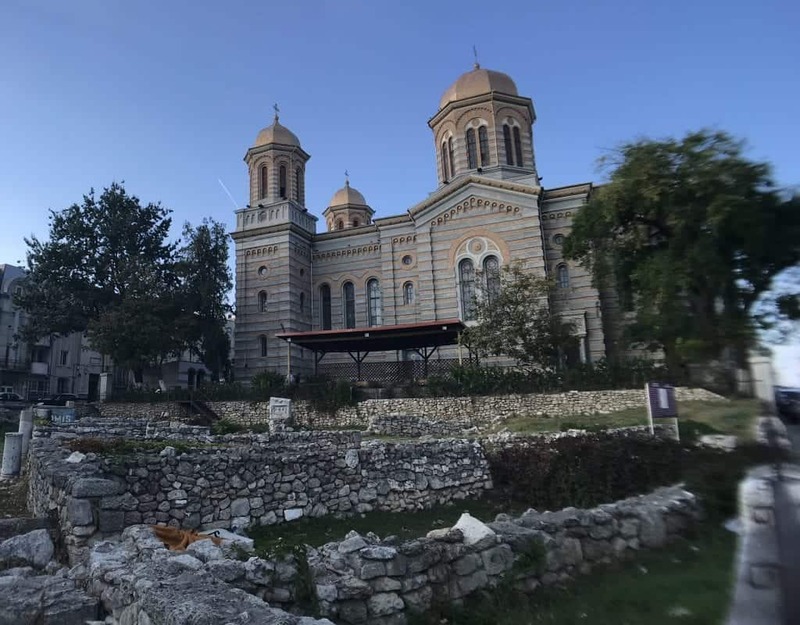 It is very obvious when there that Medias is looking to grow tourism and the upkeep of the historical buildings, main square, and churches is very apparent. 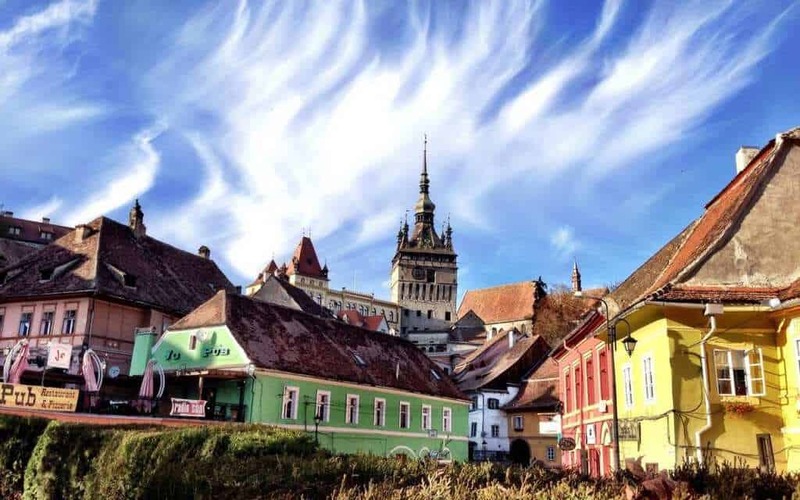 Medias is an easy day trip from several other places within Transylvania such as Sighisoara, Bierten, Sibiu, and Targu Mures. There is a train station there with regular trains and buses running through. The city is also home to plenty of restaurants, grocery stores, and pubs so you’ll have no problem grabbing a bite to eat during your trip. I definitely suggest adding Medias to your Romania itinerary and getting off the path a bit. 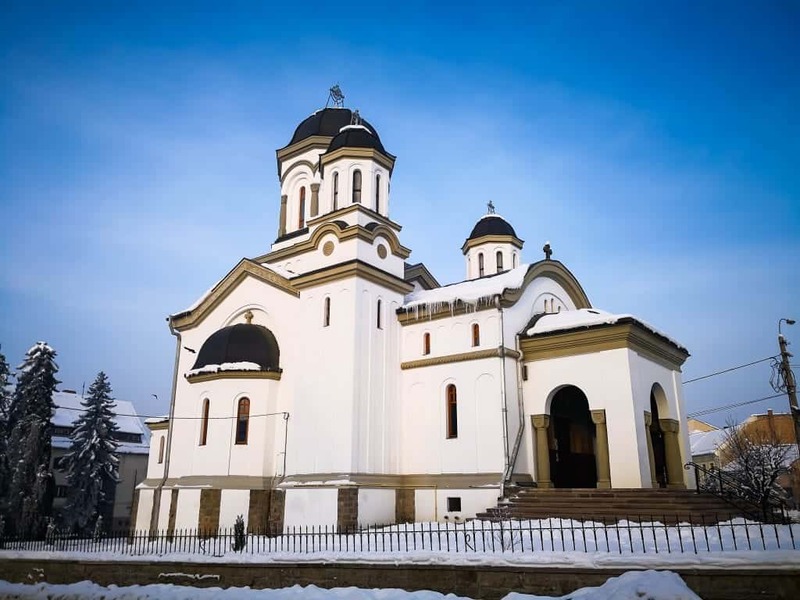 A Romanian Orthodox Church in Miercurea Ciuc. Photo by Iulia – Alexandra Falcutescu. Reused with Permission. Located in the heart of the Romanian Carpathian Mountains, I discovered Miercurea Ciuc while traveling around Romania, my home country. Miercurea Ciuc is easily accessible, either by car, by bus or by train. I think the best way to get there is by car, as there are many things to discover around Miercurea Ciuc, as well. The history of the city dates back to the 16thcentury and can be considered representative of Székely Land, a Hungarian-speaking ethno-cultural region in eastern Transylvania. Because of its old history, the city has a lot to offer, in terms of things to do. Whether you want to check out Miko Castle and enjoy one of its permanent exhibitions (of art or of history) or simply walk around Miercurea Ciuc, you are bound to run into an architectural sight or other. Various architectural types were used to build the city throughout the years and are waiting to be discovered. Around the city, a traveler can enjoy ski slopes, monasteries, and hot springs, all meant to enhance the experience of visiting this city. Read more on this hidden gem of a city or find more great destinations in Romania, here. Sibiu. Photo by Kamila Napora. Reused with permission. Sibiu was once called by Forbes “8th most idyllic place to live in Europe” and I definitely can see why. The city is just incredibly charming and I bet you will fall in love with it as soon as you arrive. 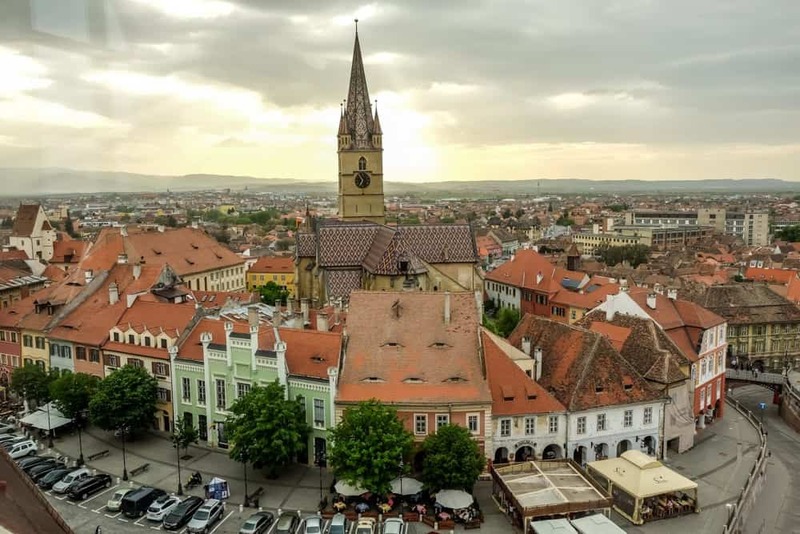 Sibiu was founded in the 12th century and it’s been the main center of the German settlers in Transylvania (that’s why the town is often referred to as Hermannstadt). The center is divided into the upper and lower town and while both and really pretty they also feel a bit different. It’s best to see the town from above, especially from Council Tower that gives you a perfect view of Sibiu and surroundings. The most distinctive feature of Sibiu are houses with eyes. Some of them were built even in the 15th century! They have a small window in the attic that looks like there’s an eye watching you, constantly! 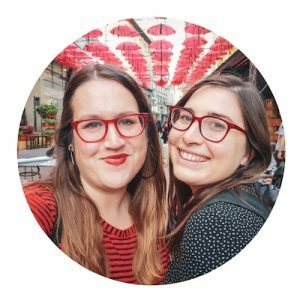 But my favorite things to do in Sibiu were just wandering around both the upper and lower towns and falling for the place – it’s not too hard to be enchanted but Sibiu! Sighisoara Main Square. Photo by Andra Padureanu. Reused with Permission. Sighișoara is one of Transylvania’s gems. This famous region in Romania is known for its Dracula tales but it hides so much more than vampire stories. It is filled with medieval fortresses, picturesque villages and small charming towns. 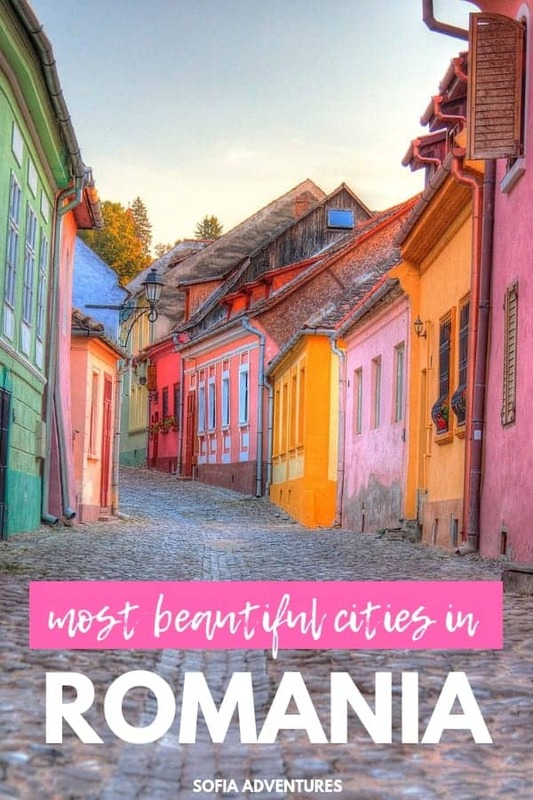 And Sighișoara is one of them, a UNESCO World Heritage Site. What makes this quiet little town so famous is its old city, tucked behind the fortified walls. The citadel of Sighişoara actually dates back from the 12th century. A day exploring the old city will provide you with a glimpse of the medieval period in Transylvania. Make sure to start from the main square, where there are usually performances. From there you can head to the Clock Tower, the key attraction. And if you admire the detailed, colorful clock on top of the tower, you should know that it has been working continuously since medieval times. Another point of attraction is the Church on the Hill which can be reached by climbing a wooden staircase called the Scholar’s Stairs, with its 175 stairs. If you don’t feel like sightseeing, the best way to discover and explore Sighişoara is by simply wandering around its narrow cobbled streets that hide colorful houses. They are still inhabited, so you can even get a glimpse of the locals’ way of living, adjusting the modern life with the Middle Ages surroundings. And make sure to taste the traditional Romanian dessert called papanaşi, a sweet combination of donuts with sour cream and jam. Timisoara. Photo by Clemens Sehi. Reused with Permission. When thinking about traveling to Romania most people probably have the common cities in mind – Bukarest or Cluj. However, we explored Timisoara and totally fell in love with this charismatic little town. From cobblestoned alleys to picturesque squares and beautiful facades – Timisoara really has no reasons to hide behind its older siblings. Start your day by taking a walk through the city. You’ll be amazed when seeing the cute cafés and their terraces located right in the middle of the street. 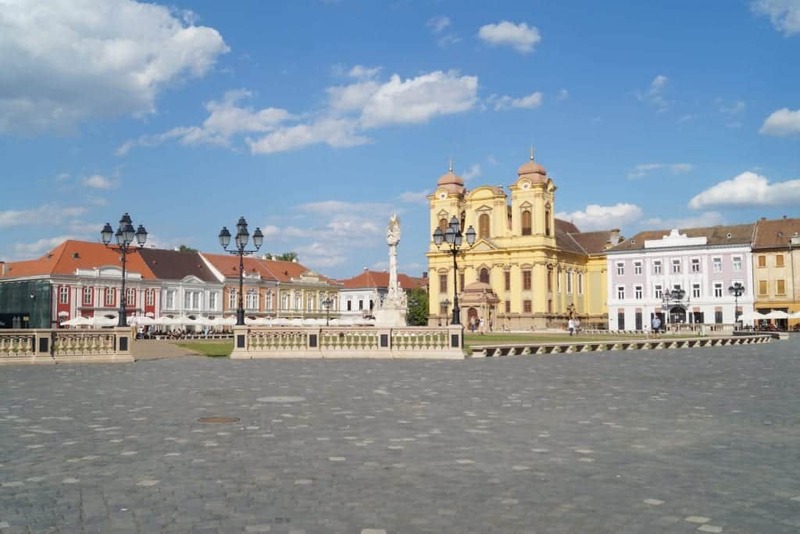 Since Timisoara is selected to be Europe’s culture capital in 2021 it is doing everything to look absolutely marvelous. Evenings in Timisoara are best spent by sitting outside and enjoying one of the Romanian dishes: mici. These sausage-like meatballs are made of minced meat and tastes best when combining them with a Romanian beer. Our favorite: The restaurant Stradivarius which is not only located right in the heart of the city but also has the best mici in town. Make sure you always travel to Romania with a valid travel insurance policy. While the country is safe, accidents can happen anywhere. If you experience an accident or theft, travel insurance will help you recover your costs and enjoy the rest of your trip. Have you been to any of these towns and cities in Romania? Planning a trip to Romania soon? Leave your best Romania travel tips and questions below! I need information on how to get a visa to visit Romania I am from Nigeria.